Tai chi chuan is a kind of moving meditation with ancient roots in Chinese martial arts. Beyond the bare-hand tai chi form awaits the elegant and highly effective tai chi sword, which has long been considered the highest achievement in tai chi training. The beautiful and flowing tai chi sword form will strengthen your body, sharpen your mind, and raise your spirit. Beyond the Barehand Form, beyond the Qigong, lies the elegant and effective Sword of Taijiquan! Learn to extend your Qi, enhance your art and refine your self. 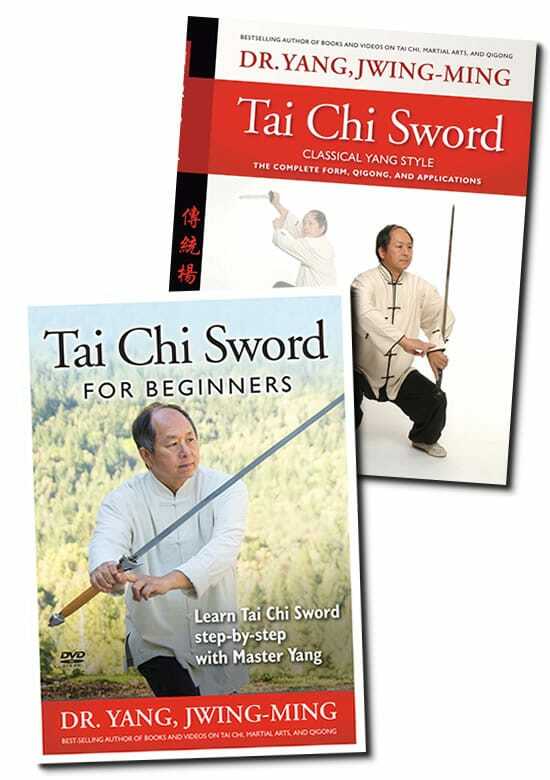 This comprehensive guide contains not only the complete Taiji Sword Form and Taiji Sword Qigong Set, but also seldom taught sword fighting applications and matching exercises. More than just a "how-to," this book also contains theory, history and a complete guide to fundamentals—all essential to building a deep, understanding of this art, long considered to be the highest achievement in Taijiquan, as well as the most popular of the Taiji weapons. This Yang-style tai chi sword is taught step by step by Master Yang, Jwing-Ming, and shown with front and rear views.